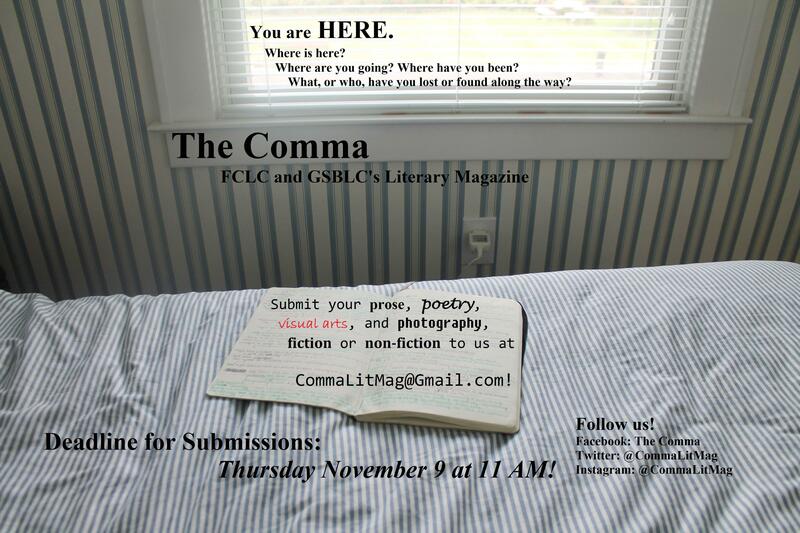 “You are here.” This semester, The Comma, FCLC’s literary journal, is asking you, “Where is here?” For this issue, consider any or all of the following themes in any literary or art form (including but not limited to: fiction, nonfiction, poetry, photography, visual art, etc). Already completed work is also more than welcome. What has brought you to where you are now, and where will it take you? Consider pivotal moments, or forgettable ones. Get lost, get stuck, find yourself, get un-stuck. Draw a literary map of a life — any life, fictional or non-fictional — and tell us about it. Connect to the NBCUniversal Page Program! Apply for Cohort Opportunities!! !